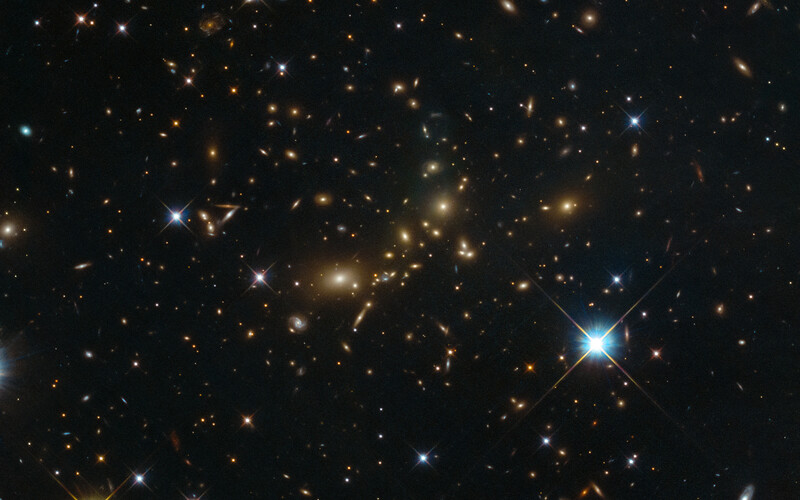 This NASA/ESA Hubble Space Telescope image shows a massive galaxy cluster glowing brightly in the darkness. 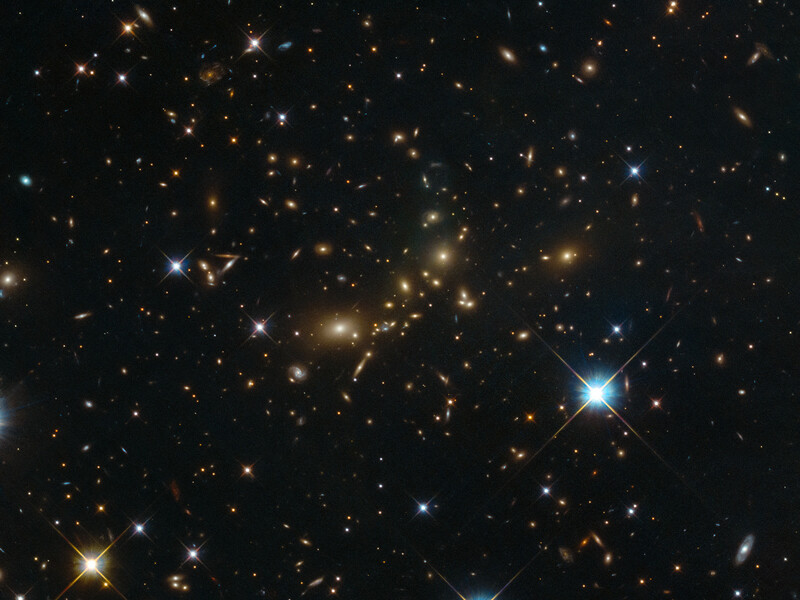 Despite its beauty, this cluster bears the distinctly unpoetic name of PLCK_G308.3-20.2. 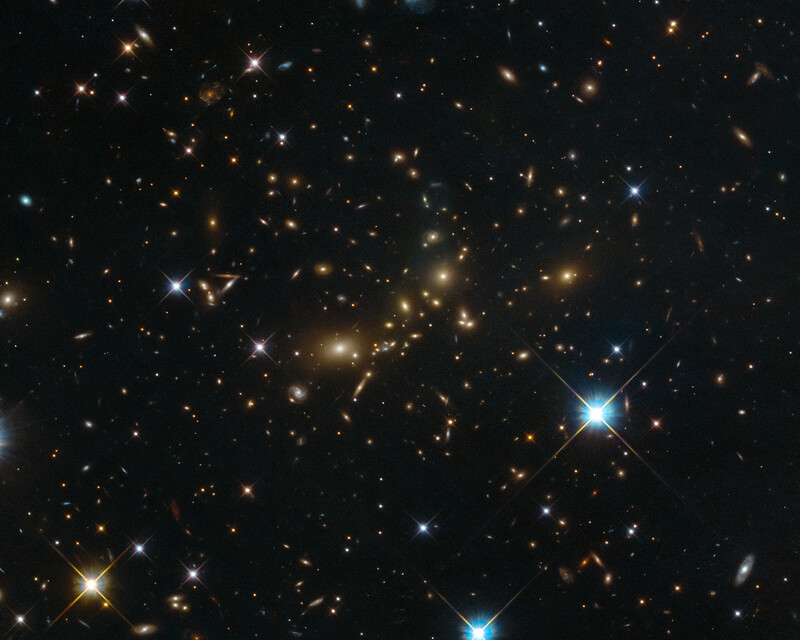 Galaxy clusters can contain thousands of galaxies all held together by the glue of gravity. 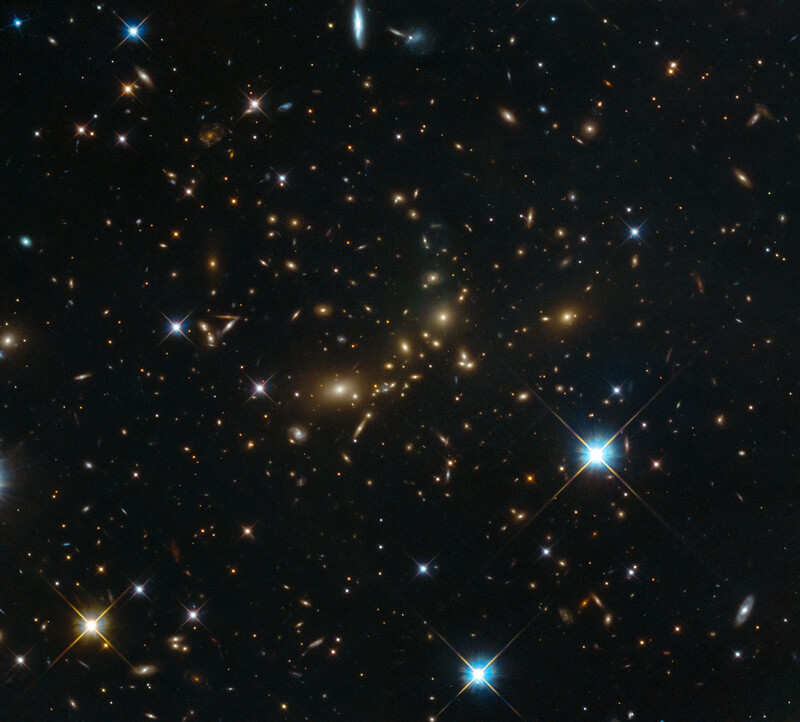 At one point in time they were believed to be the largest structures in the Universe — until they were usurped in the 1980s by the discovery of superclusters, which typically contain dozens of galaxy clusters and groups and span hundreds of millions of light-years. However, clusters do have one thing to cling on to; superclusters are not held together by gravity, so galaxy clusters still retain the title of the biggest structures in the Universe bound by gravity. One of the most interesting features of galaxy clusters is the stuff that permeates the space between the constituent galaxies: the intracluster medium (ICM). High temperatures are created in these spaces by smaller structures forming within the cluster. This results in the ICM being made up of plasma — ordinary matter in a superheated state. Most luminous matter in the cluster resides in the ICM, which is very luminous X-rays. However, the majority of the mass in a galaxy cluster exists in the form of non-luminous dark matter. Unlike plasma, dark matter is not made from ordinary matter such as protons, neutrons and electrons. It is a hypothesised substance thought to make up 80 % of the Universe’s mass, yet it has never been directly observed. Position (Dec): -81° 30' 29.76"